Reading this book was like watching a bad B-movie. 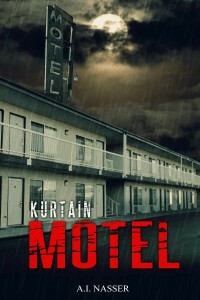 A cliché selection of people are driven to stop at a motel to get out of a storm, including an actress and a writer. Each of them has their own background and secrets. Hallucinations and other strange phenomena begin to happen and each of the guests gets told by some form of ghostly figure of someone they know that they must "Confess!" I can't say that my time was well spent on reading this one, but at least in finishing it I know I didn't miss any exciting twists or explanations. All told a fairly dull read.